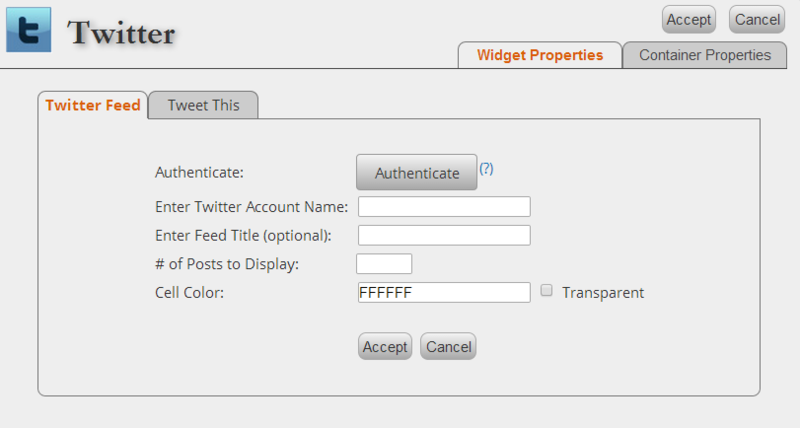 In the TabSite Manager, drag the Twitter widget to your tab page. In the pop-up that opens simply enter your Twitter Account Name. This is the name you use on Twitter for someone to tweet you. For Example, ours is @TabSite so we would enter "TabSite". Do not enter the full url of the "@" symbol, simply your Twitter Account Name. Set how many tweets to display. In tweeting, you put the source URL, the tweet text and how you want your twitter icon to display (horizontal or vertical). You can see the difference on the preview. 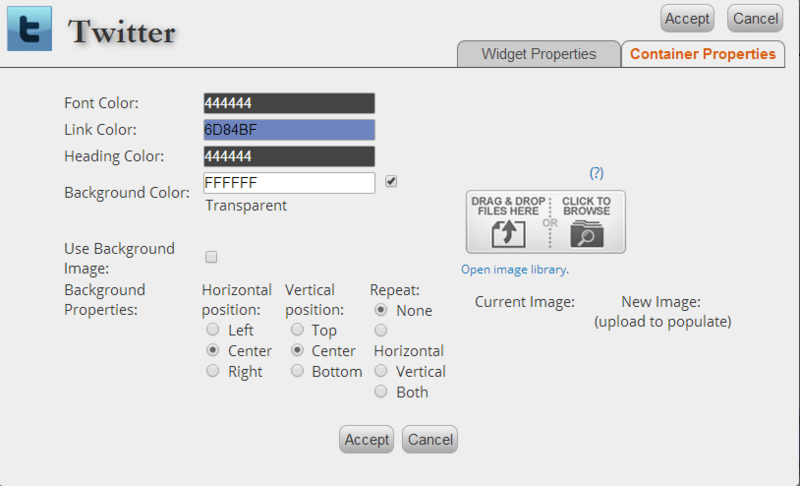 Use "Container Properties" to set the text color, link color, background, and more. 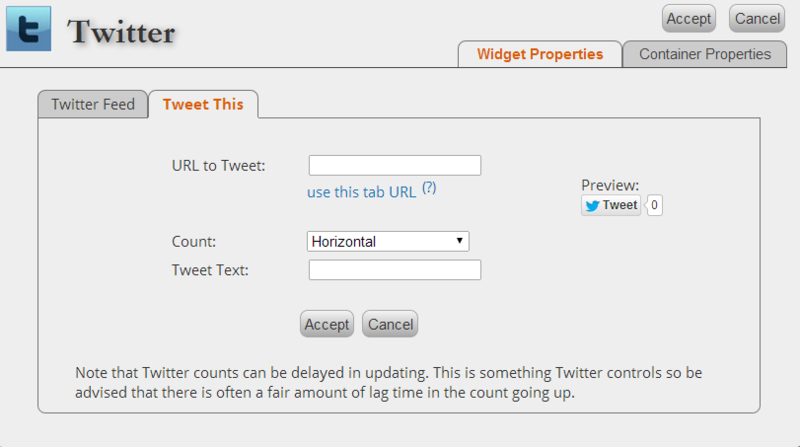 Drag the Twitter widget to where you want it on the Page tab and drag the height and width as needed. 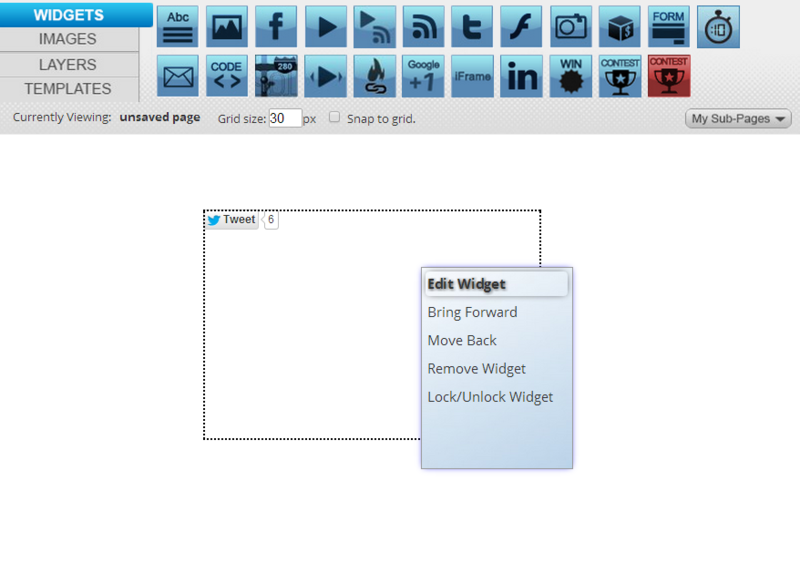 You may also edit the widget by right clinking mouse on the widget box itself as shown below.